You are bored with the look and color of your firefox. 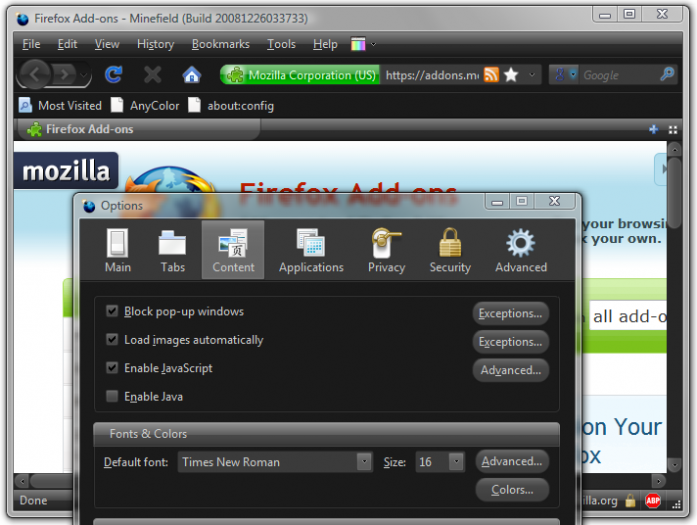 You want look n feel your firefox more pleasant, Install anycolor add-ons and colorfultabs add-ons. With anycoloe add-ons you can create your own firefox theme and color wheread colorfultabs add-ons color every tabs with different color. AnyColor Change Firefox to Any Color and lets you customize your Firefox and create your own personalized theme. 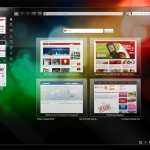 A dynamic theme that lets you customize it’s appearance on the fly. The most beautiful yet the simplest add-on that makes a strong colorful appeal. ColofulTabs color every tab in a different color and make them easy to distinguish while beautifiying the overall appeal of the interface. Related to "Create Firefox Themes and Color for Your Firefox"
Download any color makes me remember Personas which is the latest from Firefox. Any differences?